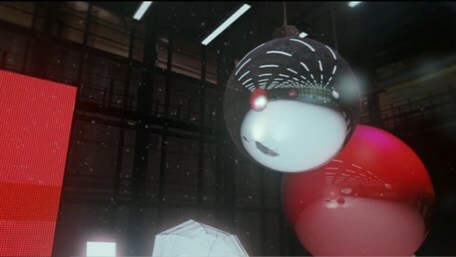 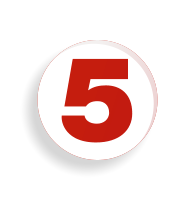 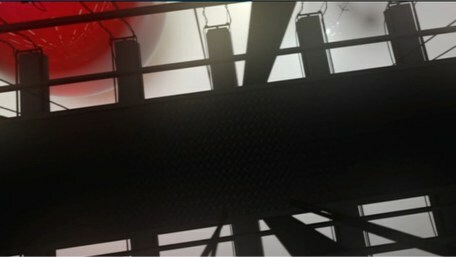 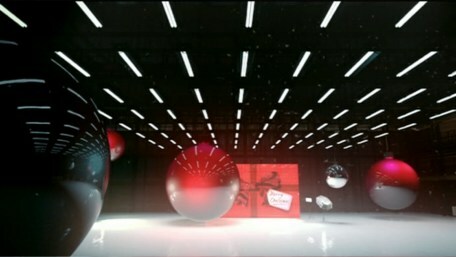 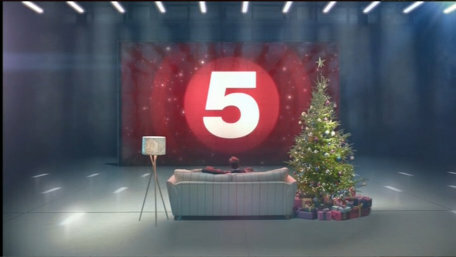 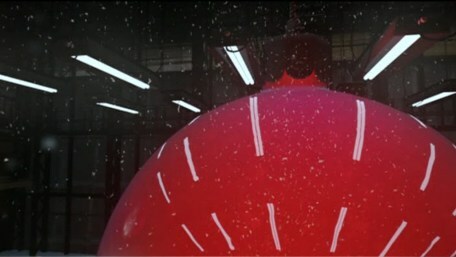 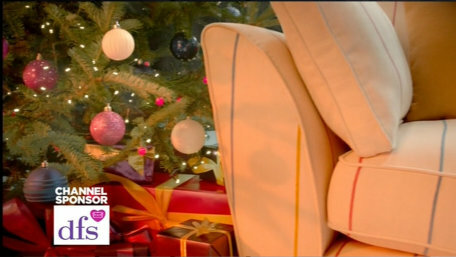 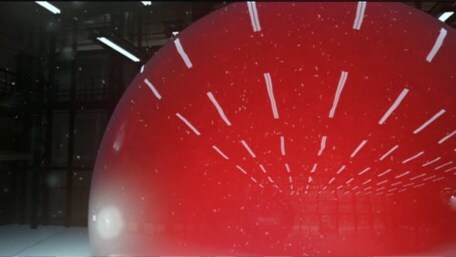 The ident used for the last two Christmas's was used again in 2013. 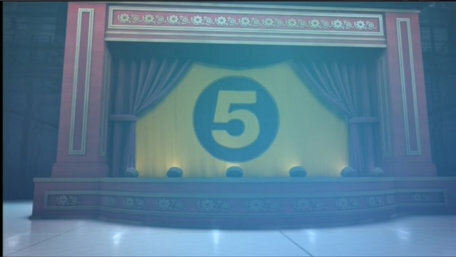 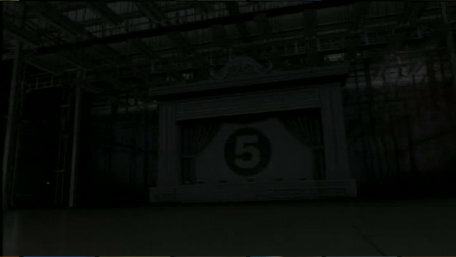 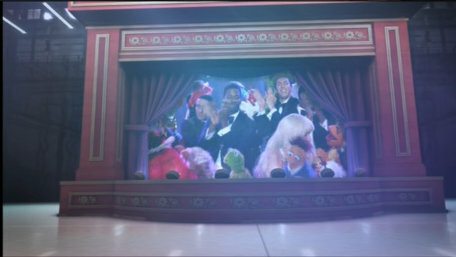 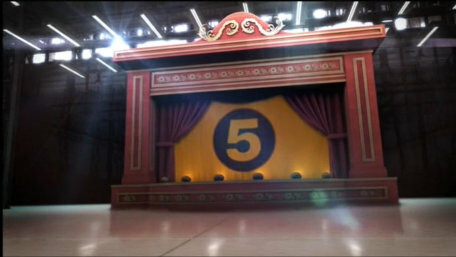 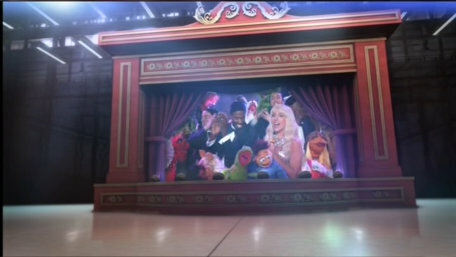 The screen is turned into a stage in which we see glimpses of Lagy Gaga and the Muppets (from "The Muppets and Lady Gaga at Christmas" a programme being shown over the festive period). 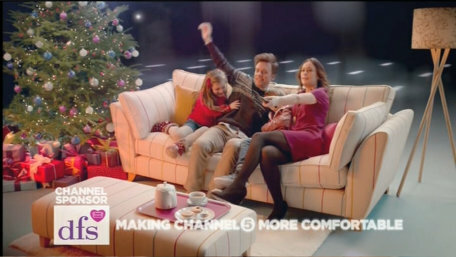 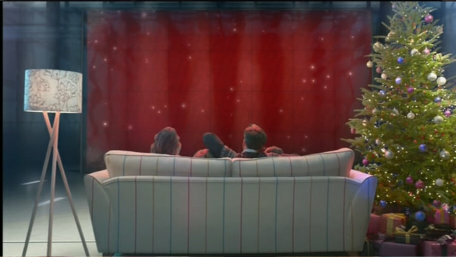 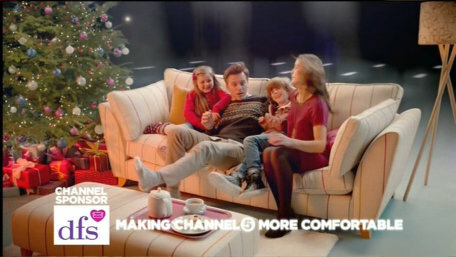 A family settle down on the sofa to watch Channel 5.